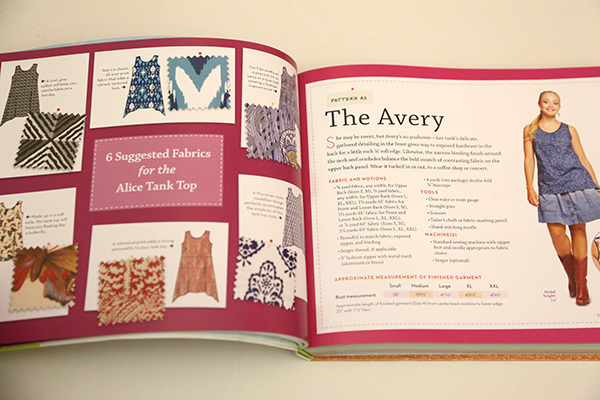 I love multi-function and time-saving shortcuts – and pattern books that offer variations on a single pattern are right up my alley. 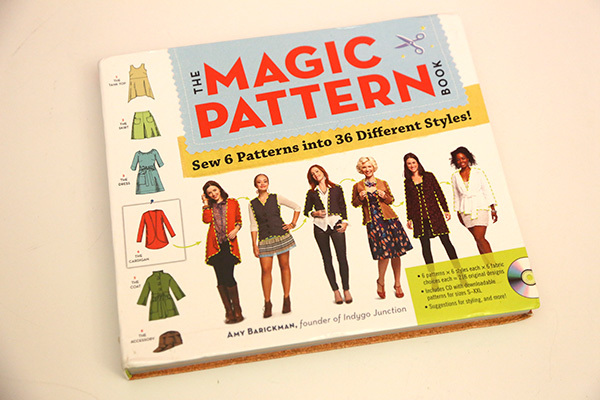 I was thrilled to receive a copy of The Magic Pattern Book: Sew 6 Patterns into 36 Different Styles! by Amy Barickman to review for my blog. 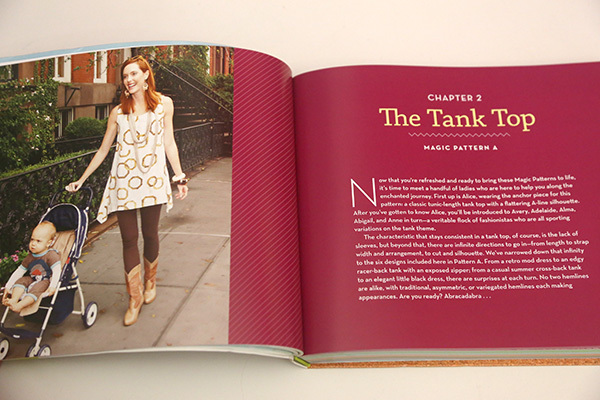 As the founder and designer of the pattern company Indygo Junction by Amy Barickman, Amy is a skilled patternmaker and has sold over 2 million patterns over the past 20 years (!). 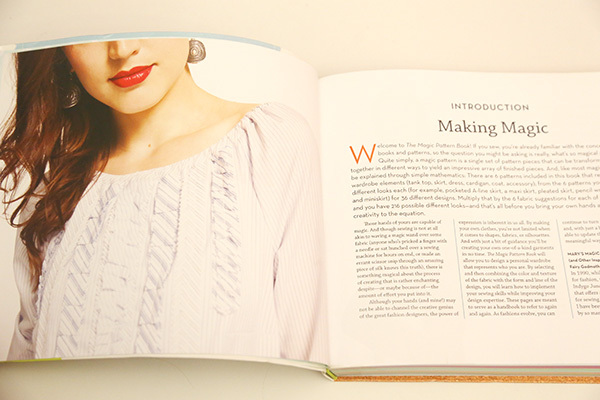 Amy’s new book is an indispensable guide to sewing an entire wardrobe and its accessories, based on only 6 patterns. It’s a unique DIY spin on sewing basics, which is perfect for what I do all the time! 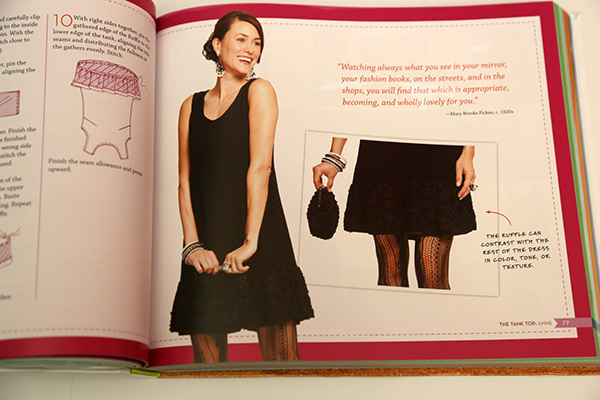 The 6 patterns included in the book and accompany CD-ROM are a U-neck Tank Top, an A-line Skirt, a gathered-neck pull-on Dress, a collarless Cardigan, a standing neck lapped-front Coat, and an Accessory (3 hat styles, 1 scarf, and 2 drawstring bags. For each pattern, 6 variations (named after women) are included, that may lengthen or shorten the pattern, add design details, or alter the silhouette slightly. 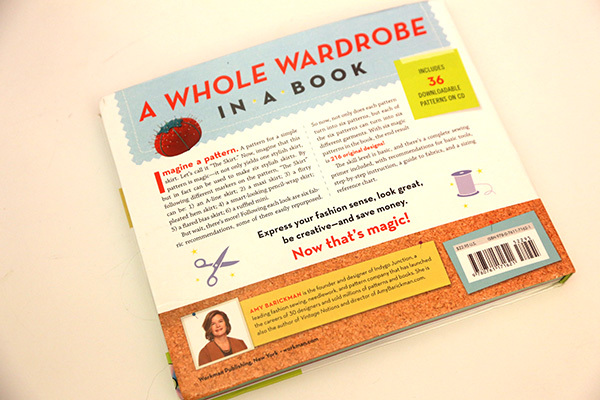 The instructions are illustrated with step-by-step hand-drawn illustrations. The alterations are quite simple and easy to follow – and just a small variation can create a totally different look in the finished piece! 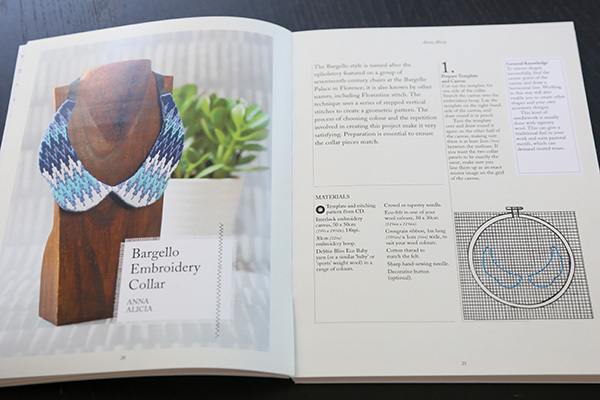 The book also includes a CD-ROM with patterns and templates for all the projects as well as a how to use the included patterns guide. This means you can start right away with your making! There are also notations for when you can used repurposed items or fabrics for the projects, as well as suggested fabrics for each design. However, I personally am not a fan of the suggested fabrics or the model styling; though the photography is beautiful the styling choices seem somewhat dated. The fabric choices also leave something to be desired, but it does provide a starting point for your own ideas and choices – and highlights the versatility of a single pattern. 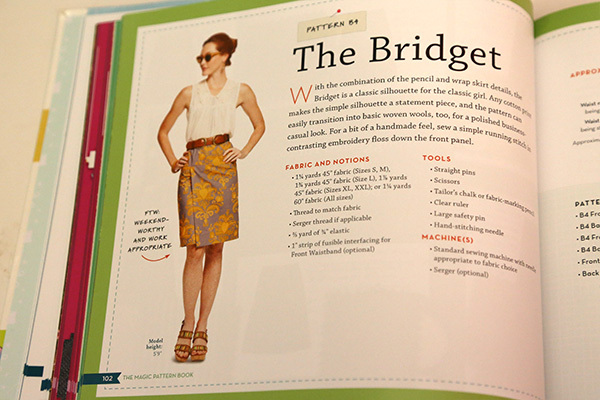 If you like multi-purpose patterns and adding and removing elements for the ultimate DIY take on your sewing, definitely try out the patterns in this book! 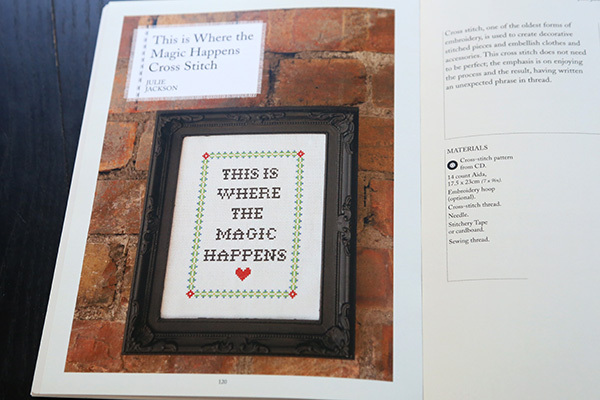 The Magic Pattern Book is available on Amazon.com and major booksellers. FTC Disclosure: I was sent a copy of the above book from Workman Publishing for review purposes. I have not been compensated for this post. The above opinions are my own. To read my full Disclosure Policy, click here. 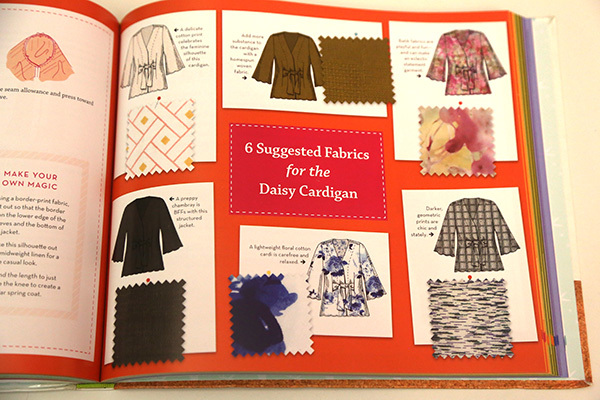 I was recently sent a copy of the new book The Sewists: DIY Projects from 20 Top Designer-Makers by Josephine Perry to review for my blog. 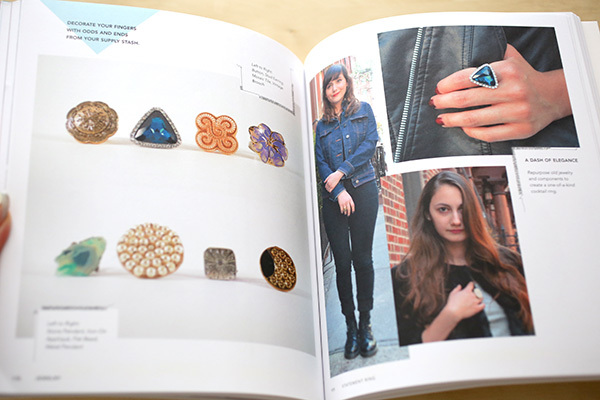 It’s a super-cute, handmade take on the DIY movement, chock-full of neat techniques and profiles of 20 makers. 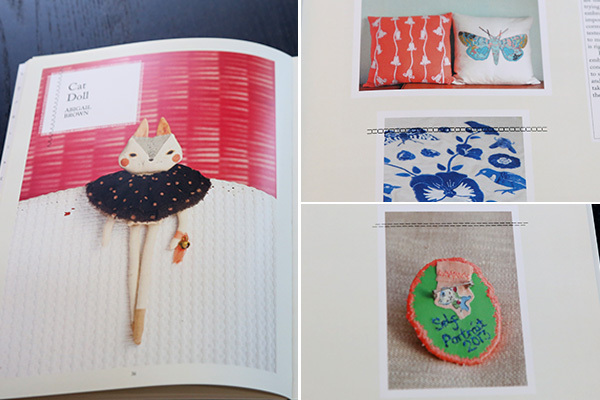 The projects range from a handmade pincushion to a gathered waist skirt to an adorable stuffed monster plushie to a piece of embroidered jewelry. 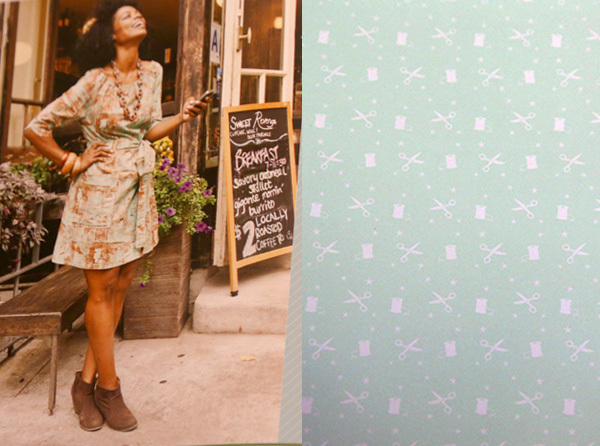 Many of the projects use only a small amount of fabric, upcycled materials, or ecologically-sourced items. 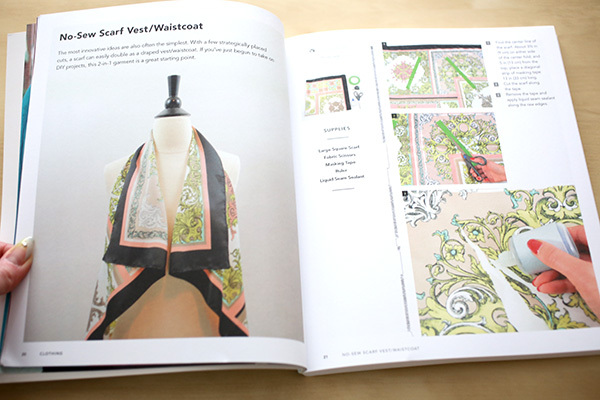 Textile arts (including textile printing, patchwork, applique, embroidery, screen printing, cross stitch, and hand-sewing) feature heavily in this book, so most of the projects are time- and labor-intensive. 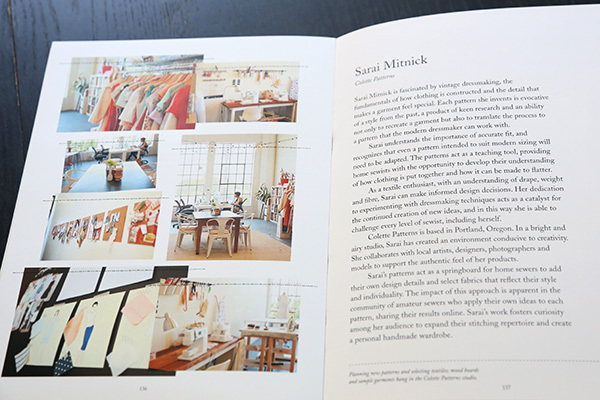 The book truly focuses on the labor of love that is crafting, and features in-depth profiles of many designers and makers in the homemade movement. 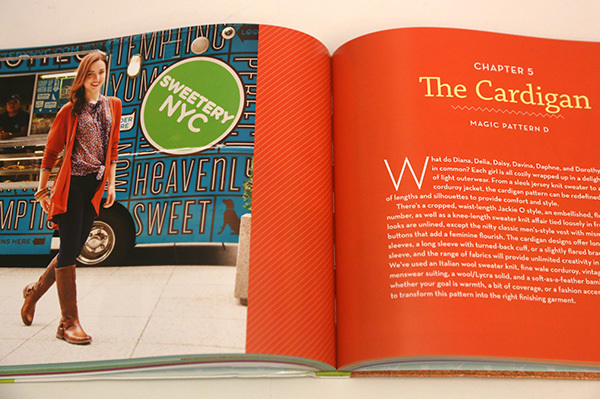 It’s fascinating to read everyone’s story, and one gains a greater respect for all of these artisans and their work. There is a quaint charm to the projects, which harken back to your grandmother’s time, updated for today. 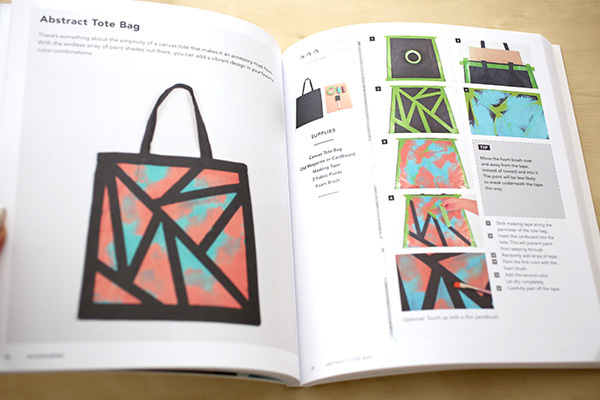 The book also includes a CD-ROM with patterns and templates for all the projects, which is extremely helpful since no tracing from awkward book pages is required and you can just dive in and start making! 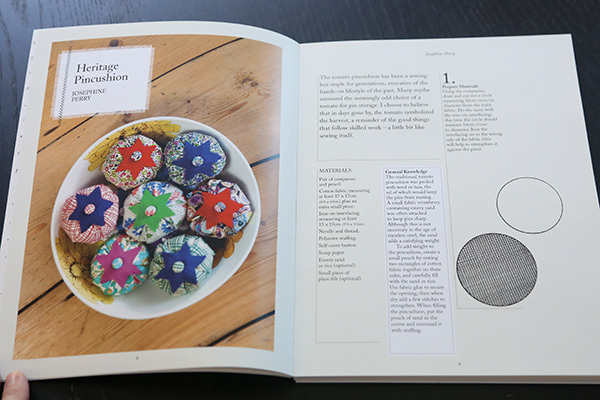 My only minor quibble with the book is that on the project step-by-step pages there is dearth of visual interest. One would think with these artisan studios full of inspirational items, it would not have been that much more difficult to include more images of their work on the tutorial pages, or at least some illustrations of stitchery, DIY supplies, or other layout extras that could have livened up these areas. However this is only a minor note; the rich introductions to each artist serve as an excellent backdrop to their painstaking projects. 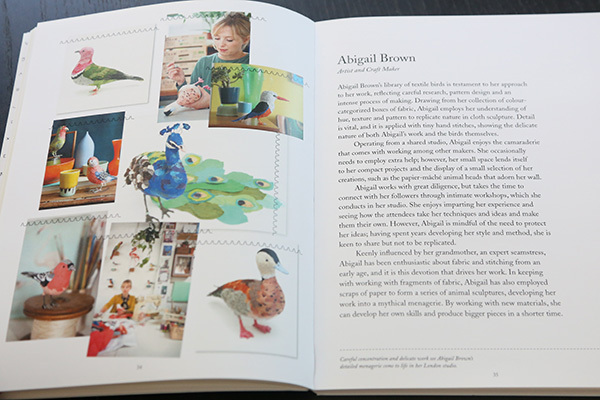 If you’re into trying out a range of different projects and techniques and enjoy handmade crafts, textile arts, and homespun charm, this book is definitely for you! 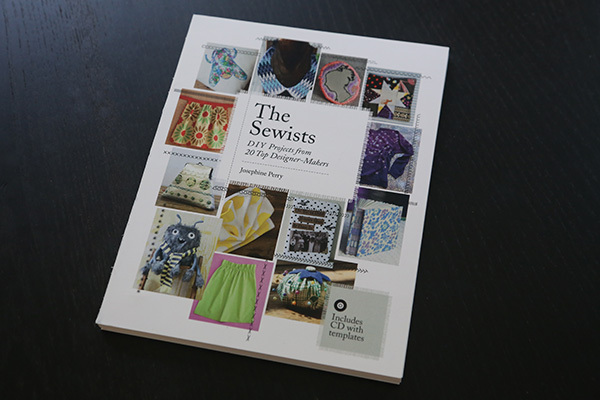 The Sewists will be released on September 16, 2014, available on Amazon.com and major booksellers. FTC Disclosure: I was sent a copy of the above book from Laurence King Publishing for review purposes. I have not been compensated for this post. The above opinions are my own. To read my full Disclosure Policy, click here. Apr 1, 2014 | Media, Score! 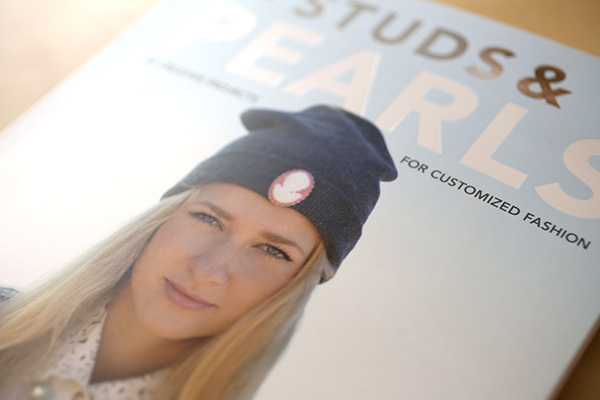 Studs & Pearls : 30 Creative Projects for Customized Fashion is from the eponoymous blog Studs & Pearls by Kristen Nunez, founded in 2010. We’ve been reading each other’s blogs for quite some time, and we’ve been frequent commenters on each other’s projects. Kristen’s DIY’s are always fun, simple, and have major visual impact. 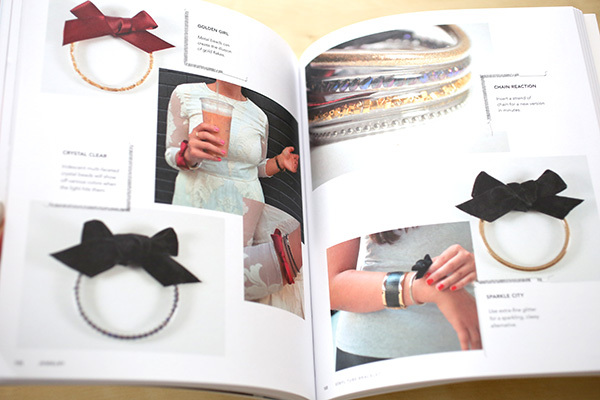 With this book you can get a ton of ideas for how-to’s that can easily take your basics and jazz them up a notch. 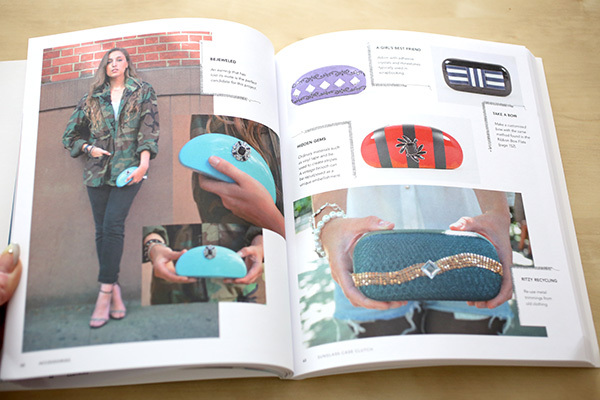 The book covers DIY basics, like Tools and Supplies, and then dives straight into the projects. 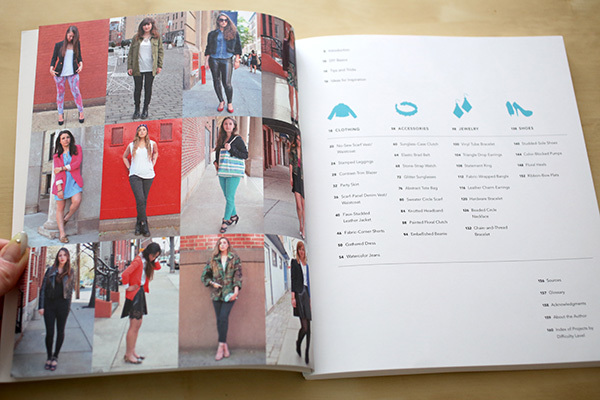 It includes 30 projects, with multiple variations on each so you can put your own spin on them. It covers a variety of techniques, including fabric dyeing, stamping, no-sew projects, trim embellishment, and painting. 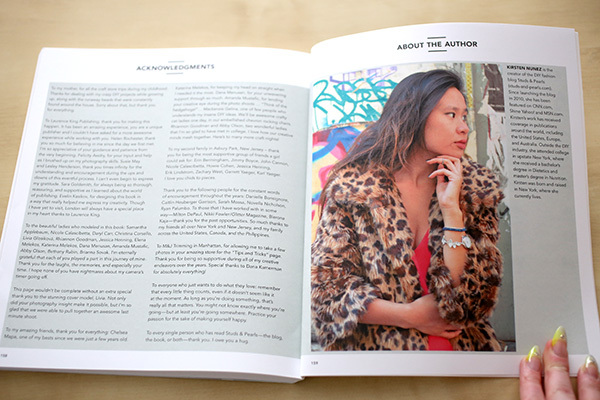 Plus the photography features real-life girls (like in street snaps) modeling the finished creations so you can get an idea of how the DIY’s will look when worn. This statement clutch turned out so pretty with some well-placed painting! An interesting take on the plastic tube bracelet. These cocktail rings from buttons are particularly pretty. Overall: It was nice to see all the variations on all of the projects. Many of the techniques are quite simple, which speak well to a young audience maybe not so familiar with DIY blogs and projects elsewhere. 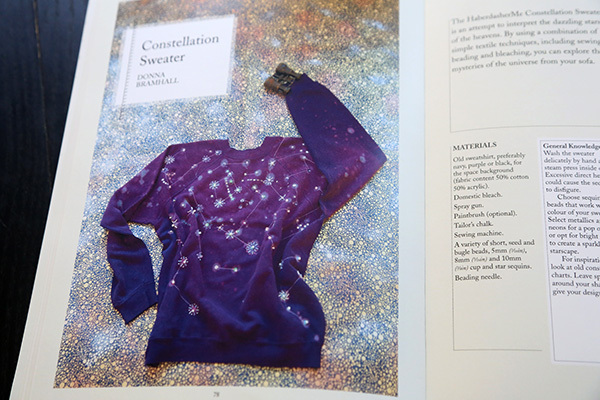 (There are 3 projects that do require a higher skill level, with dyeing and sewing a dress, but they stood out as somewhat incongruous next to the other projects.) It does provide inspiration and ideas on the variations, as well as styling tips, so it can be very useful in planning out your project. 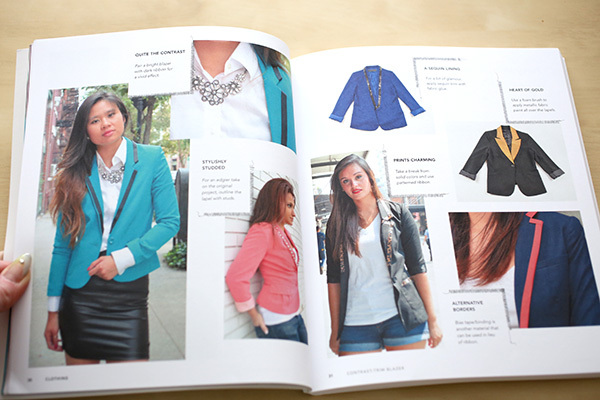 This would be a great book for a young teenager or someone who is just getting started to DIY. 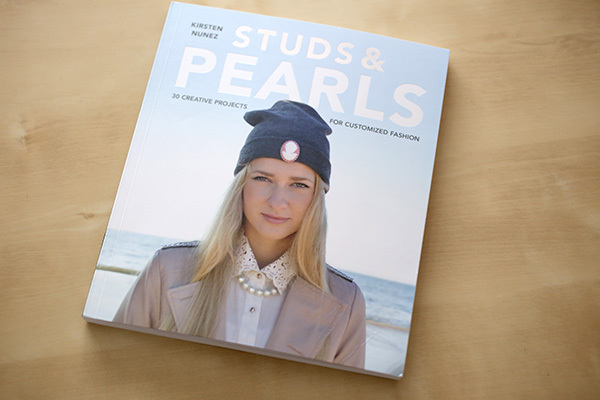 One lucky winner will receive a copy of Studs & Pearls : 30 Creative Projects for Customized Fashion by Kristen Nunez. FTC Disclosure: I was sent a copy of Studs & Pearls for review from Laurence King Publishing. I am sponsoring the giveaway and shipping the item to the winner at my own expense. The above opinions are my own. To read my full Disclosure Policy, click here.